If you’re in the habit of following video game to movie adaptations (morbid curiosity perhaps?) 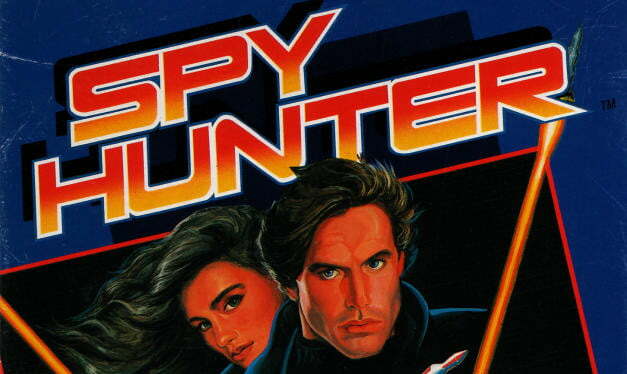 you’re likely well aware that Spy Hunter is one of the most infamous projects in history. The movie has been in some form of production for at least the past decade, and names attached to the film include Dwayne “The Rock” Johnson, Vin Diesel and John Woo. How it hasn’t accidentally been made by now is anyone’s guess, but with new director Ruben Fleischer on board, it seems that this film has a real shot at actually hitting theaters. Fleischer is a director you’d know best from the brilliant horror spoof Zombieland — the Bill Murray cameo alone earns Fleischer endless praise — but he’s apparently got a thing for fast cars and cool secret agents. In explaining why he would ever want to take on a seemingly cursed project like Spy Hunter, Fleischer states simply that he’s always wanted to do a James Bond movie but he doesn’t believe that the British rightsholders (EON Productions) would ever let him. Spy Hunter then serves as his fall back: A film that is close enough to the Bond style that Fleischer can fill it with all the ideas he would have otherwise used in bringing Ian Fleming’s famous spy to the silver screen. While we are obviously cynical about the project as a whole, one can’t deny that Fleischer certainly has a passionate interest in the project. Plus, you’ll notice that he mentions the game’s theme? Ask anyone who played the game either in the arcades or on a home console what the most memorable part of the game was and they’ll instantly say it’s the intensely-hip-for-1989 Peter Gunn title track. Yes, that’s a small element to focus on, but it does indicate that Fleischer is actually a legitimate fan of the video game source material. Given the number of directors who churn out video game films despite having an obvious lack of familiarity with the game their flick is based on, we’d like to see this as a positive indicator. Or maybe we’re just giving Fleischer too much credit for that Bill Murray cameo scene.